These Rat Poison Bait Blocks from Pest Expert contain the potent, single-feed rodenticide Broadifacoum. With the active concentration set at the legal limit, this highly effective poison will provide rapid results to even large, established infestations. Tolerance cannot be built up to this maximum strength rodenticide, meaning bait rotation is not required and a single dose is enough to kill a rat. They are comprised of a wax-free, premium grade food blend increasing palatability, ensuring impressive results. The multi-faceted design encourages rats to gnaw, aiding uptake helping to achieve eradication in commercial and residential premises. 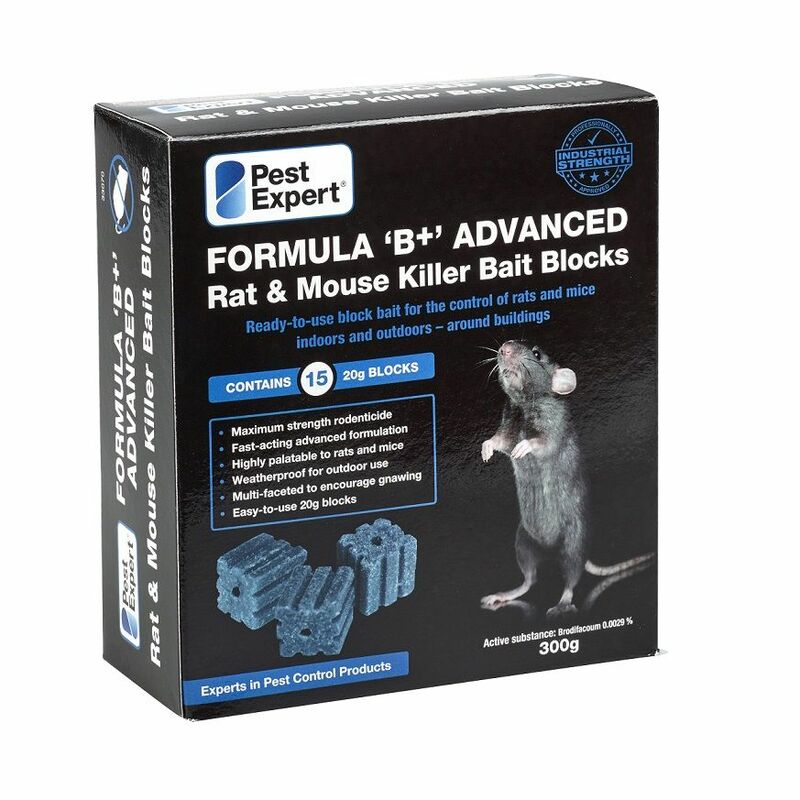 As well as being a perfect solution for rat infestation internally, these rat poison bait blocks are weatherproof, making them the perfect solution to a rat infestation internally and externally.